If you just need to know the correct time, look at your phone or get a cheap digital Casio watch. A mechanical watch will never have the same accuracy. What it does have though, is craftsmanship, beauty, and style. A nice watch is more than just a way of telling the time. It’s a functional piece of jewelry that can say a lot about you. Are you the adventurous sort? Then maybe you wear a dive watch. Spent a lot of time at black tie events? A dress watch is what you need. There’s something incredible about an automatic (or self-winding) watch. The fast, audible, mechanical ticking, the tiny intricate parts all working together to keep the correct time, the fact that just wearing it is enough to keep it wound. Even the cheapest mechanical watches required more time and thought from the watchmakers than an expensive quartz watch. Each one is a testament to human ingenuity. You can never look inside your computer and see it work but with many mechanical watches you can. It’s a piece of technology that you don’t need a college degree to understand; it’s ceaseless sweeping hands and comforting tick are enough. While you can spend insane money on mechanical watches—even a “basic” Patek Phillipe will set you back tens of thousands of dollars—there are actually some great, affordable automatic timepieces available. These aren’t the watches you see advertised on Instagram where you “just pay shipping” and get a bit of tack straight from the factory in China; these are watches from quality manufacturers that plenty of true watch fans (myself among them) own. An automatic watch is about a lot more than just accurate timekeeping. It’s about having an intricate mechanical machine with hundreds of years of history on your wrist. If that doesn’t interest you, you’re in the wrong place! Similarly, if you’re looking for a status symbol, you’re going to need to seriously bump your price bracket. Before diving in to what we were looking for, let’s break down some key terms. A mechanical watch is a watch that literally runs on clockwork. No batteries, no electricity, just cogs, springs, and ingenuity. An automatic watch is a mechanical watch that winds itself just by the movements of your wrist. A quartz watch is a watch that uses a battery to run electricity through a quartz crystal which is used to set the time. Almost all watches you see for sale have a quartz movement. The movement is the mechanism inside the watch that powers it. 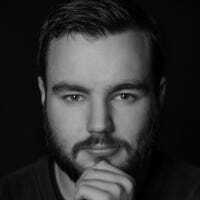 Watch manufacturers tend to make a few different watches built around the same basic movement much like car manufacturers build different cars around the same engine. The case is the bit that contains the movement, the strap is what holds it to your wrist. This is pretty obvious, but straps can be changed which can totally change the look of a watch. Bear that in mind when you’re considering different watches. It had to be from a respected watchmaker. This means no Kickstarter watches with off the shelf movements, or rebranded Chinese knockoffs. It had to be affordable for real people. The absolute upper price bracket was $500, but I wanted the watches to come in well under that. It had to be something I would actually wear. No tacky, over the top watches. With these criteria in place, one watch manufacturer quickly jumped to the fore. It probably helps that right now as I type this, I’m wearing one of their watches on my wrist. Let’s talk about Seiko. 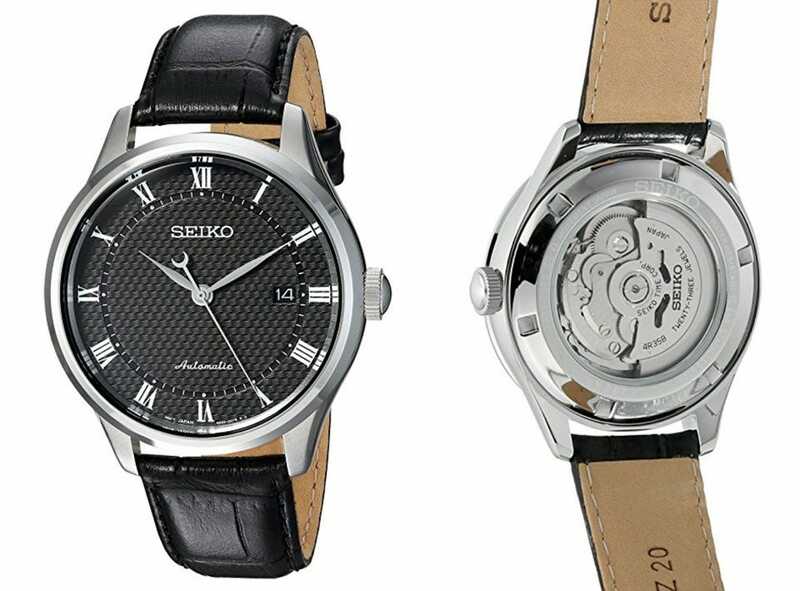 Seiko is a Japanese watch manufacturer that has been making clocks and watches since the 1890s. Over the years they’ve been responsible for some of the biggest developments in watch making. They released the world’s first quartz watch in 1969, which changed the world of watch manufacturing for ever, and put Japan at the forefront of watch innovation. While most people associate Seiko with affordable watches, they also have the Grand Seiko line that competes directly with Rolex, Omega, and other luxury brands. 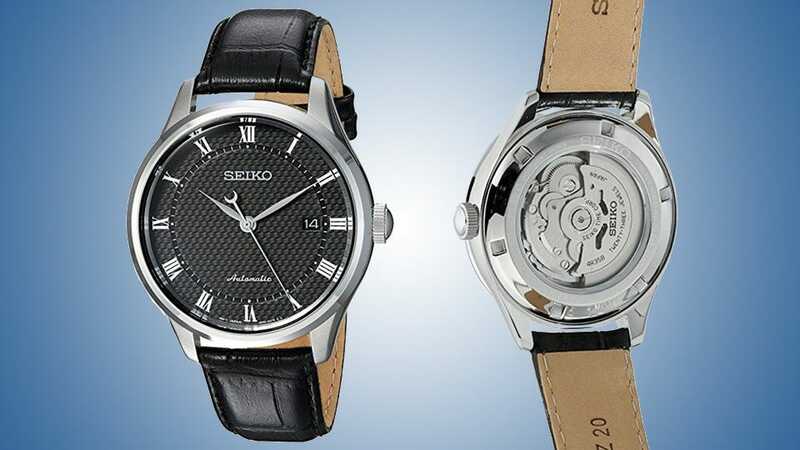 While Japanese watches from Seiko might not have the same prestige to regular people as Swiss watches, they are just as respected among watch fans. Seiko has never been content to copy the major Swiss brands, they’ve innovated and driven them to compete over the years. Put simply, Seiko is a hugely important part of watch history, they’re the biggest competitor to any of the Swiss brands, and crucially, they make great watches at really great prices. Lots of watch fans don’t wear a Seiko because they can’t afford a Swiss watch, they wear one by choice. I’ve a Seiko on my wrist and a Swiss made Longines on my shelf. 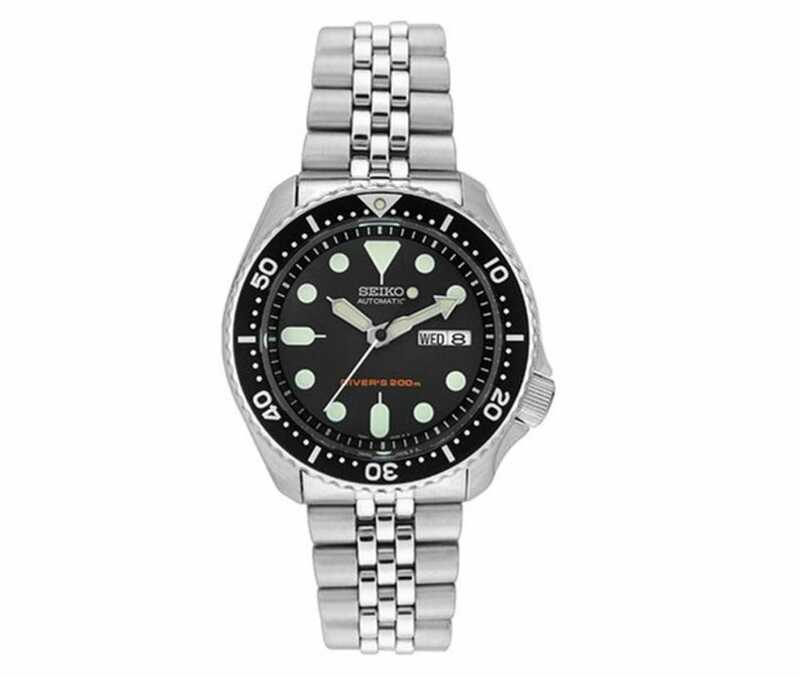 For less than fifty bucks you can get a quality automatic Seiko watch. How crazy is that? The black dial and black canvas strap version of the Seiko 5 looks great. It’s got a clean, modern design that’s perfect for everyday use. You could even swap out the canvas strap for a leather one if you want to wear it to the office regularly. A nice touch is that the Seiko 5 comes with a see through back. This means you can see the mechanical movement in action. If you just want a simple watch for everyday use, or are curious to see what the fuss with automatic watches is all about, you can’t go wrong here. The Seiko SKX007 is the watch that graces my wrist right now. It’s an incredible, durable, good looking dive watch. I’ve worn it through ski crashes, scuba dives, and nights out, and all it’s picked up are a few minor scratches. The beauty of a dive watch is that it never has to leave your wrist. You can wear it anywhere and know that it will take whatever you throw at it. Then, at the end of the day, you can put on a suit and go to a nice bar without it looking out of place. I’m not a huge fan of the strap that comes with the SKX007K2 so I’ve swapped it out for a Nato strap. You can do the same, or just find another strap that works for you. Seikos are so popular that there’s a big third-party accessory market. A dress watch is traditionally a simple, elegant watch on a leather strap. The Seiko SRPA97 fits the bill perfectly. I love the SRPA97’s modern take on a classic look. The textured black dial, Roman numerals, and slim hands are all perfect, understated elegance. This isn’t a watch that demands attention, it just sits on your wrist accentuating your tuxedo. If you need something affordable to wear for a black tie event (or want to get all your groomsmen the same watch), look no further than this Seiko. The first and only non-Seiko watch on this list is from a Swiss company set up because of them: Swatch. Swatch was founded in 1983 to offer affordable, high quality Swiss watches that could compete with Japanese manufacturers like Seiko. Now, the Swatch Group is one of the largest watch manufacturers (they own other brands like Omega and Longines). 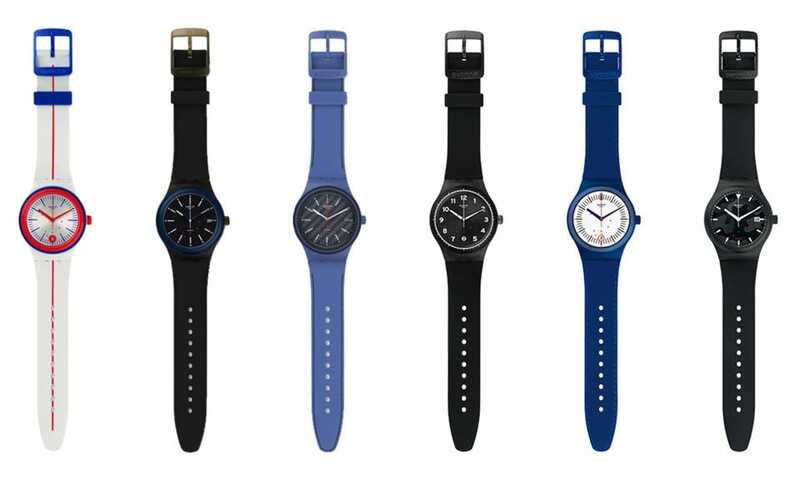 Swatch’s SISTEM51 isn’t any single watch. Instead, it’s an innovative mechanical movement that uses just 51 components. 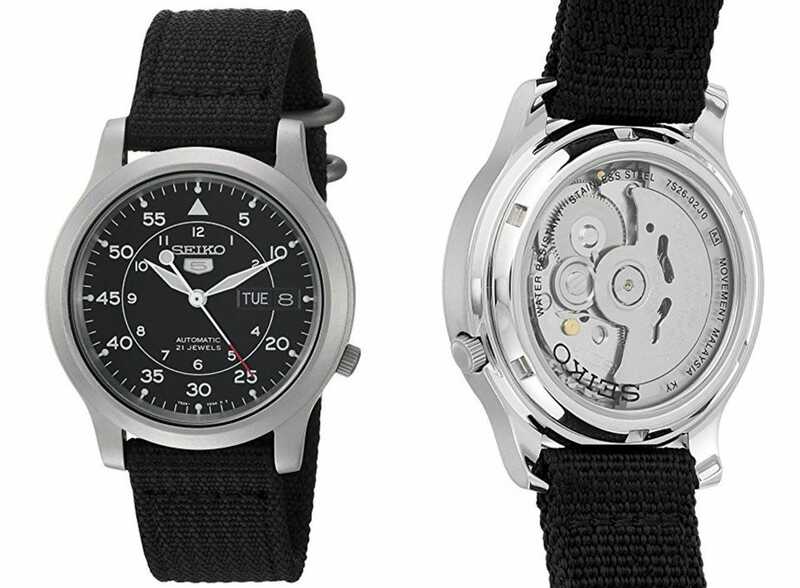 There are dozens of different SISTEM51 watches between $100 and $200. I’m a big fan of the plain black SUTF400. What makes a SISTEM51 watch such a great gift is that as well as Swatch’s fun styling, there’s a story. This makes them perfect for either a first watch or for a watch collector. Watches are a pretty personal thing and, to be honest, you really can’t go wrong with any automatic watch from Seiko if it fits your style. I’ve flagged some of my favorites above, but you should let us know your favorite affordable automatic watches in the comments below. Want more warmth than mere gloves alone can provide? Fight the winter chill with these awesome hand warmers.